All week, we’ve been covering the folks who are covering the RNC convention: the dog-whistles, the projection, and the insistence that every single utterance of any Republican should now be termed “racist”, …all of it. However, I still don’t believe most folks can fully appreciate the extent to which the Leftist press is pushing this. Quite simply, they are making up out of whole cloth whatever pops into their feverish, bourbon-addled brains (…Chris Matthews, I’m talking to you). Two articles hit on this today. One was from Jonah Goldberg at National Review and it’s easily worth a read. As good as it was, though, I think that this one from Michael Graham is better, as it more accurately encapsulates all of the lying (and sheer loonyness) emanating from the state sanitarium liberal press. They’re flipping-out more than Clark Griswold at the end of ‘Christmas Vacation’, ….which means we are probably doing something right. To paraphrase Mark Twain, there are three kinds of liars: Liars, damned liars . . . and screaming, foamy-mouthed MSNBC hosts watching Paul Ryan speak. Why? Because he needs them to be. The RNC features black Republicans like Condoleezza Rice, Rep. Artur Davis and Mia Love. 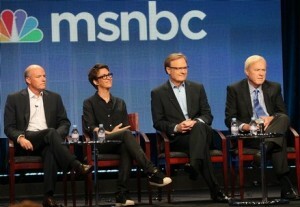 CNN and MSNBC fill their panels with nuts like Toure and the Rev. Al Sharpton decrying the “racism” in Tampa. Their proof? 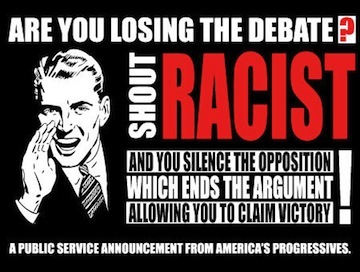 They don’t need “proof.” For Obama to win, they need Republicans to be “racist” — so the pundits say they are. And in perhaps the most blatant example, DNC spokesflak Debbie Wasserman Schultz used a Los Angeles Times article to claim that Mitt Romney is responsible for the abortion plank of the GOP platform. CNN’s Anderson Cooper confronted her with the fact that the Times article she quoted said the exact opposite — that Romney did not support the plank as written. Why? Because Obama supporters can’t handle the truth. The facts about the Obama record are so awful, so indefensible that the very idea of “facts” must be destroyed. “Candidate Obama said, ‘I believe that if our government is there to support you, this plant will be here for another 100 years.’ That’s what he said in 2008. It’s an effective metaphor for the many promises Obama has made about the economy that didn’t come true. And that was the problem. It’s too effective. And so the “Fineman Effect” kicked in: Ryan was declared a liar. “That plant was already closed in 2008,” screamed Chris Matthews, who nearly had to be placed in Hannibal Lecter restraints for his own protection. 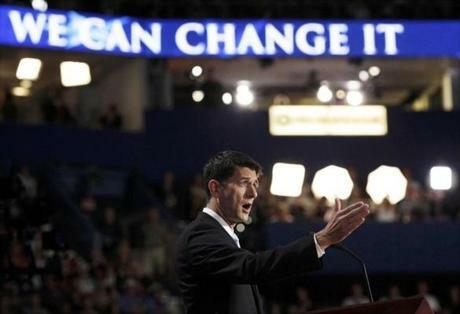 Thursday morning, Obama lackeys in the “politi-fact” business jumped in, claiming Ryan’s statement as false. After their failure in convincing Americans of a “GOP War On Women,” Democrats have declared their own war: A war on truth itself. Saw this over at The Right Sphere this morning, and it echoed what I wrote about yesterday almost exactly. It also proved my point to a ‘T’. So, in the admittedly selfish interest of saying “I told ya’ so”, here it is. The Republican National Convention finally went into full swing last night. Mia Love, Ted Cruz, Artur Davis, and South Carolina Governor Nikki Haley all gave rousing speeches laying out both the case against reelecting President Obama and the case for electing Mitt Romney. Following them, Ann Romney gave us a much needed personal glimpse into who Mitt Romney is and then New Jersey Governor Chris Christie delivered the keynote address. Social issues, code words, dog whistle. Is this the red meat the GOP wants to attract women and independent voters? See, what Leftists like Donna Brazile hope to do is make any discussion on any issue they know they are losing on about race. Bring up food stamps? ‘Code word.’ Wanna talk about welfare? ‘Dog whistle.’ Mitt Romney uses a banner that says ‘Obama Isn’t Working’?…he’s evoking ‘racial stereotypes’. They do this because they know if this election is about a real discussion of issues and President Obama’s record, he’s likely going to lose. But here’s the problem: the only real ‘racial code words’ and ‘dog whistles’ are actually the terms ‘racial code words’ and ‘dog whistle.’ These words are nothing more than Democrats wanting to have the ability to call someone a racist without actually having to say so. They do this because it allows them to introduce race, infer racism, and plant the idea that someone is a racist without a shred of evidence to support that idea. I say no more. From now on when they throw those canards out there, ask them why it’s a ‘code word’ or ‘dog whistle.’ Make them say that any discussion of entitlement spending, unemployment, or any other issue is racist and can only be about minorities. Then ask them why they think that’s the case. Ask them specifically if they think the person talking about that issue is a racist. Make them say it. Make them call Mitt Romney, Paul Ryan, and everyone else in the GOP a racist. Trust me, they’re dying to. via Democrat Dog Whistles | The Right Sphere. Since we are heading into the RNC conventions this week, you may wish to gird your loins for a raising of the rhetorical stakes over the next few days. 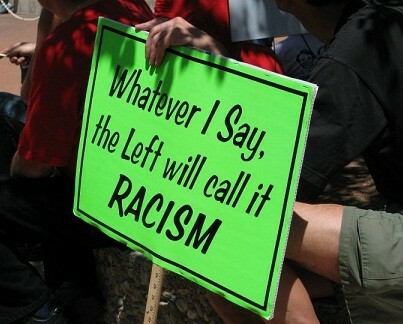 I long ago became inured to the Left and their incessant, mindless charges of “racism” at all who disagree with them. This is who they are; one may as well scream at the rain for being wet. I just did a quick search, and YouTube is loaded to the gills with examples. Actually, I now assume Rachel Maddow, Touré and Chris Matthews each receive some sort of “Racist-Dog-Whistle performance bonus”, based solely upon their usage. And now, after almost 4 years of their BFF at the country’s helm with absolutely bupkis to show for it other than horrifying debt and record-setting unemployment, they really have no card to play other than this one. Thus, everything is (or can magically become) a racist dog whistle. You can tell this was a dog whistle because different groups of people heard it totally differently. CBS’s Jan Crawford noted on Twitter that there were “two reactions to his birth certificate joke: reporters gasped–and a crowd of thousands laughed and cheered.” The crowd heard the straightforward meaning: It was a joke and an applause line. The watchdogs of the press heard the whistle, and so did other lefties. To judge by this MSNBC clip, and this one, it drove them into a mad and wonderfully entertaining frenzy. “…The most troubling part of Romney’s statement is the implication that Obama is somehow to blame for the birthers’ conspiracy theorizing — that there are some people you can look at and tell they were “born and raised” here, and others who make you wonder, for some reason. The thing we adore about these dog-whistle kerfuffles is that the people who react to the whistle always assume it’s intended for somebody else. 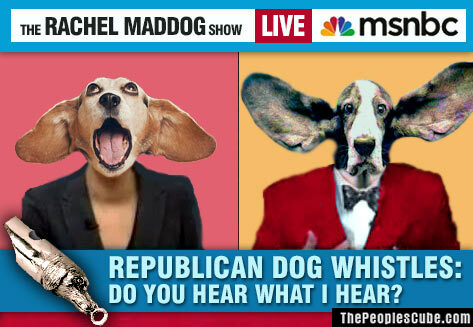 The whole point of the metaphor is that if you can hear the whistle, you’re the dog. Line of the YEAR, right there. Keep it in mind, especially if you decide to view the RNC convention on MSNBC this week. You’ll need it. I tried to not look for any articles that had to do with the government inexplicably beating down the private sector, costing our economy jobs and revenue. As doctors battled a deadly, drug-resistant superbug at the National Institutes of Health’s Clinical Center last year, they turned to an antibiotic of last resort. But colistin, as it’s called, is not a fancy new creation of modern biotechnology. It was discovered in a beaker of fermenting bacteria in Japan — in 1949. That doctors have resorted to such an old, dangerous drug — colistin causes kidney damage — highlights the lack of new antibiotics coming out of the pharmaceutical pipeline even in the face of a global epidemic of hospital-acquired bugs that quickly grow resistant to the toughest drugs. It’s a case of evolution outrunning capitalism. Exsqueeze me? Somehow this means that Capitalism failed? You mean, when given the proper incentives and environment for success, entrepreneurs decided to NOT try to find the next miracle drug? Why doesn’t that sound , ohhhh, what’s the word, …..true? Gosh, how much harder, exactly, Washington Post? Shlaes said that concerns about antibiotic safety — driven by deaths linked to the drug Ketek that came to light in 2006 — have made the FDA reluctant to approve new antibiotics. “They’ve basically made it impossible for companies to develop and market antibiotics in the U.S.,” he said. I’m used to the Washington Post “Orwell-izing” the truth; happens every day. No, what concerns me is the result of the FDA meddling in drug research which saves countless lives. This story yet again highlights our government’s innate ability to screw up (vs. help) any given industry it contacts. It’s as if the Government fancies itself as King Midas and, as in that fairy-tale, its “Golden Touch” is actually the Kiss Of Death. As a parting thought, ask yourself: will Obama/Biden or Romney/Ryan be more likely to increase the span, reach and overall negative effect of the government over the private sector in the next four years? Take your time; it’s a tough one, I know…..
Last Sunday’s post presented a hypothetical situation involving my reporting on weather to someone who ignored the reports. It didn’t include my giving a command to dress a certain way–because I was focusing on the issue of trust, not the issue of obedience. I was asking why, if I have proven myself to be trustworthy, someone would refuse to trust me. What could be the motivation for ignoring someone who has been truthful and consistent? The answer which occurs to me is “pride.” There is in our nature a self-determinism which has been known–especially in the teen years–to fly in the face of all evidence that flight conditions are unsafe and one had better stay on the ground. This “I know best what’s best for me” attitude is the foundation of American independence. It’s also the basis for post-modernism’s refusal to accept anything as objectively, absolutely true. And if there is no Source of authoritative truth, then there is no obligation to either believe or act on it, is there? A philosopher once said, “If there is no God, everything is permissible.” And so we hear, “Well, that may be true for you, but it isn’t for me.” Truth becomes purely pragmatic, and a matter of personal taste or preference or expediency. “You won’t really die…” was whispered along the bough of the beautiful tree. And they believed it. Just like that. It suited them to believe it. They wanted a bite. Why shouldn’t they have it? Why not, indeed. And there was born the first sin. 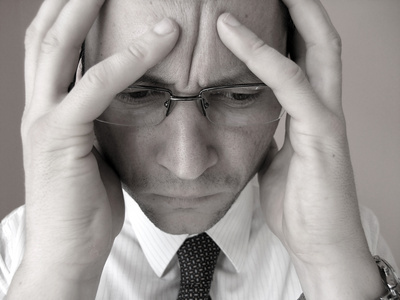 When Ultimate trustworthiness met mistrust…it was a grave mistake. To be worthy of unquestioning trust means to be worthy of being obeyed. And so to disobey is worse than a mistake. It is a sin. All other authority on earth which we are asked to obey is derived from that First authority. Parents are vested with power by God Himself, as are rulers and governors of nations or cities. To the extent of their authority, they are to be obeyed by those under their rule. 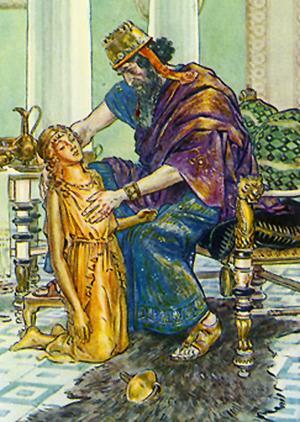 Over time, we have learned that there are unjust rulers–and there are evil parents. But this abuse of power doesn’t negate the fact that such power, given by God, exists. The abuses, however, have provided a compelling excuse (for this generation particularly) to sluff off all those who would give direction and boundaries to life. Thus, it becomes convenient to disbelieve in a sovereign God, because if He ISN’T in charge…well, then, no one is. Or we all are. 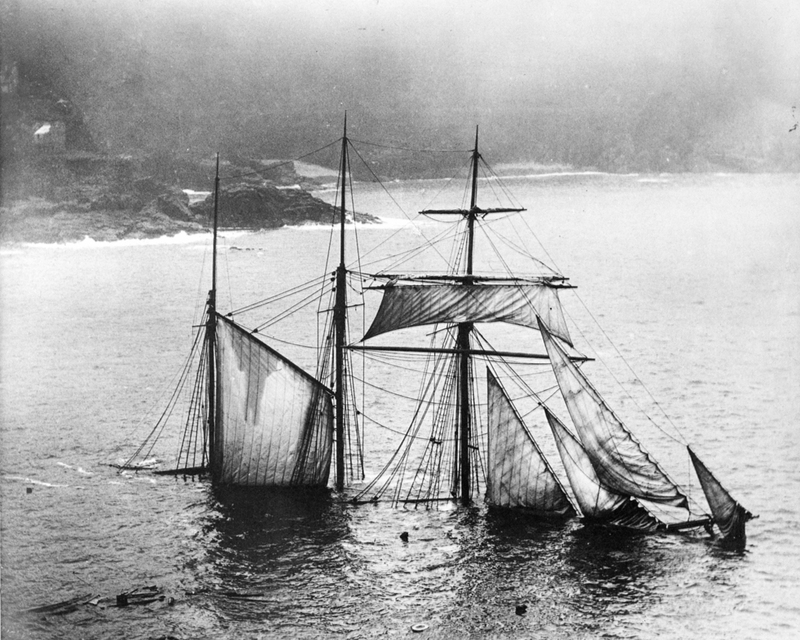 And that is how shipwreck happens. When a sinful and foolish pride masquerades as independent thinking…when mistrust is just a mistake. Something musically entertaining, with the Piano Guys. Busy day today, so I’m re-blogging a post I saw earlier from yet another of our blogger friends. Many thanks to Dapper Dan over at Principles, Not Men blog for the loan. And for my money, any time you can combine Hayek, the Federalist Papers and ‘Calvin & Hobbes‘ into one highly cogent post, you’re doing somethin’ right. Stripped of all technicalities, this means that government in all its actions is bound by rules fixed and announced beforehand—rules which make it possible to foresee with fair certainty how the authority will use its coercive powers in given circumstances and to plan one’s individual affairs on the basis of this knowledge….under the Rule of Law the government is prevented from stultifying individual efforts by ad hoc action. 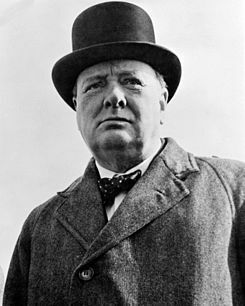 Within the known rules of the game the individual is free to pursue his personal ends and desires, certain that the powers of government will not be used deliberately to frustrate his efforts. Basically, the decision is between “Rule and Law” and “arbitrary government” where the rules keep changing. Hayek then uses an analogy of highways. The difference between the two kinds of rules is the same as that between laying down a Rule of the Road, as in the Highway Code, and ordering people where to go; or better still, between providing signposts and commanding people which road to take. My own view of the difference is like between the NFL and Calvinball. 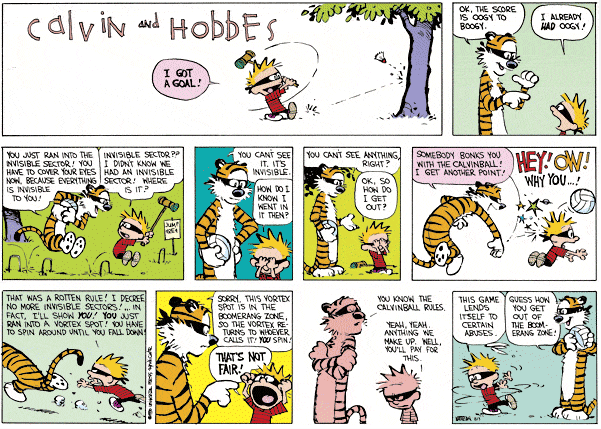 If you are not familiar with the comic cartoon ‘Calvin and Hobbes‘, the boy Calvin and his imaginary tiger Hobbes would play a game called Calvinball. In this game they would randomly shout out “rules” and the other was required to comply. Naturally, the rules benefitted the one who made them up and hurt the opposition. It was absolute chaos. This would represent arbitrary government. It doesn’t take much effort to see how unjust this is. Now the NFL is like the Rule of Law. The players all go in knowing the rules of the game ahead of time and then form their strategies based around those rules. 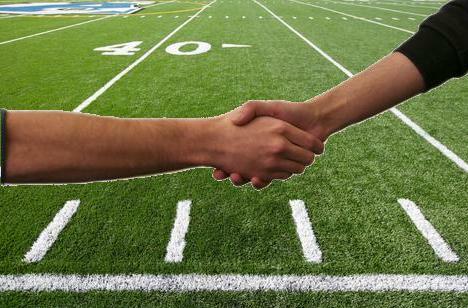 Both sides play by the same rules and violators are penalized. At the end, whoever wins, wins. If the refs are bribed to make bad calls against a certain team, we would all see that justice was being perverted because favoritism is being shown. However, if the game is played fairly, even if your team loses you can say it was a “good game” and justice was done. Conversely, tyranny thrives in arbitrary government. If it doesn’t like some group of people (whether it’s based on class, race, or whatever) it can randomly create laws that penalize or hurt that group of people. And here is where the analogy of Calvinball breaks down, because the other side cannot make laws too. They are left to the mercy of the coercive powers of the government. Likewise, government can make laws that will benefit some at the expense of others. It may do this through bailouts because a corporation is “too big to fail” or they may do this in order to gain votes from a certain group of people, such as gaining black votes through affirmative action laws. Whatever the reason, it’s obvious that they are playing “Calvinball” and justice is being perverted. They are resolutely helping one group at the expense of the other. The internal effects of a mutable policy are still more calamitous. It poisons the blessings of liberty itself. It will be of little avail to the people that the laws are made by men of their own choice if the laws be so voluminous that they cannot be read, or so incoherent that they cannot be understood; if they be repealed or revised before they are promulgated, or undergo such incessant changes that no man, who knows what the law is today, can guess what it will be tomorrow. Law is defined to be a rule of action; but how can that be a rule, which is little known, and less fixed? The law should be equally applied to everyone, even members of government. That is why it is so unjust for Congress to create a massive health care bill, force it down the throats of the American people, and then exempt themselves from it. To be sure, there are such things as immoral laws. But those laws are the ones that treat some differently than others. If the law was truly equally applied to ALL members of society, even the government bureaucrats, those immoral laws would largely, if not completely, disappear. When we’re saying things like that, we’re already way too far down the Road to Serfdom.